The Academy Instructors are professional artists. We bring you working artist educators who are passionate about sharing their expertise with a new generation of performers. A professional actor for 20+ years, Ruth has worked in theatres across Canada, and has taught across the Lower Mainland, including at Gateway Academy and the Shadbolt Centre for the Arts. A Dramaturg and Writer for dancetheatre, Ruth is a graduate of the Vancouver Playhouse School of Acting. A graduate of SFU's School for the Contemporary Arts in Theatre Performance, Clown, Costume and Directing, Alexa has returned to her roots in Gateway Theatre. She has been seen performing in Toronto's SummerWorks Festival, PuSh Festival Youth Assembly and in various projects as co-founder of theatre company, THEATRECORPS. Eileen is an actor and writer who enjoys teaching for the Gateway Academy, Carousel Theatre, the Golden Firefly Project and the Arts Club Theatre. 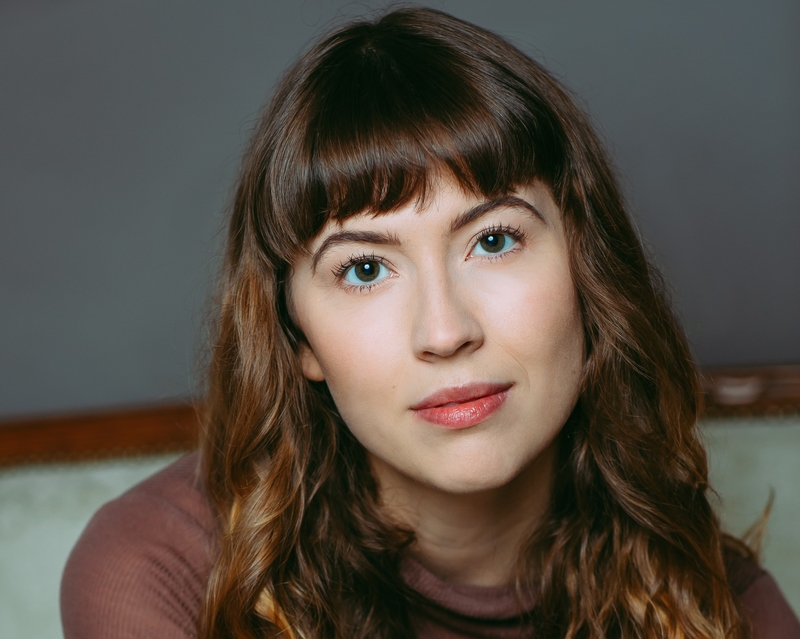 A graduate of Studio 58, she has performed with large and small theatres across Canada and internationally, enjoys working in film, television and radio, audiobook narration and audio description (for theatre-goers with vision loss), and is the recipient of a Jessie Richardson theatre award. She is currently pursuing a Master’s degree in Liberal Studies at SFU. ​Quinn is a professional actor, singer and musical theatre artist residing in Vancouver but grew up right here in Richmond. Recent credits include Binnie in Not So Dumb (Green Thumb- BC Tour) and Sandy in Grease (Chemainus). Quinn is a graduate of Studio 58. Christina is a Vancouver based multidisciplinary artist. She works as an actor, musician, musical director and theatre educator across Canada. She has worked with: Arts Umbrella, The Citadel Theatre, The Firehall Arts Centre, The Gateway Theatre, The Globe Theatre, Persephone Theatre, Project X, Theatre North West, Twenty Something Theatre, Shameless Hussy Productions, Sum Theatre and Western Canada Theatre. Christina is an Associate Artist with Firepot Performance and is currently pursuing further education in expressive art therapy and education. She is a graduate of The Canadian College of Performing Arts. A graduate of CCPA and The Source Dance Company, Abbey has performed independently and commercially as a dancer, actor and singer on both stage and screen. With 10 years teaching experience in numerous dance styles, she loves to share her artistic passion in a safe, supportive environment with lots of laughter. Manami Hara, a graduate of 58, is an actor, instructor, translator, playwright and producer. She immigrated from Japan to pursue a theatre career in North America. Manami has worked with and appeared in various theatre companies across Canada for over 20 years. She is a Jessie Richardson nominated actor and a critics choice award winner. Manami is passionate about teaching youth the art of theatre making, acting, storytelling and play-building. Erin Michell is an actor, dancer, and choreographer from Victoria, BC. After training at the Canadian College of Performing Arts, she toured across Western Canada with the Story Theatre Company as an actor and storyteller, and furthered her education in Pochinko Clown (under the direction of Sue Morrison), before settling in Vancouver. She has been teaching dance and theatre for ten years, is passionate about working through the creative process of theatre for all ages, and allowing oneself to ‘clown’ around. Rebecca holds a Bachelor and Masters in voice and opera performance from UBC, and an ARCT in piano performance from RCM Toronto. She has taught both classical voice and musical theatre, including two years as a teacher at the Manitoba Theatre for Young People. Rebecca is also an active performer, having sung with Manitoba Opera, UBC Opera, Opera Nuova, AEDO and the VSO. She enjoys passing on her love and passion for music to students of all ages through teaching, adjudicating and musical directing. Shannon is storyteller, writer and performer. She brings to her workshops an immense enthusiasm for creativity and self-expression and 10 + years experience leading creative writing, performance and confident speaking workshops. She’s helped hundreds of students, of all ages and experience, release their stories and voices out to the world. Melissa is a life-long Vancouverite and lover of music. Her years of singing experience have included touring to Europe with the British Columbia Girls' Choir, volunteering with children and seniors, and directing and competing with UBC A Cappella. In addition to singing, Melissa also plays piano, flute, guitar, and ukulele. Tessa has been studying, training and performing for more than 20 years and has worked professionally as an actor, singer, choreographer and sound designer. Recent credits include: Marty in Grease at Chemainus Theatre Festival and performing with Circle Bright in From Broadway with Love. Tessa has a Diploma in Music from Capilano University, a Bachelor of Performing Arts and is a graduate of Studio 58.